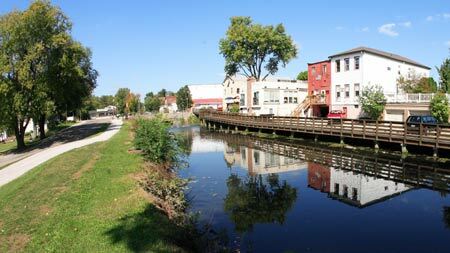 Canal Fulton has triumphantly maintained and celebrated its rich canal history. 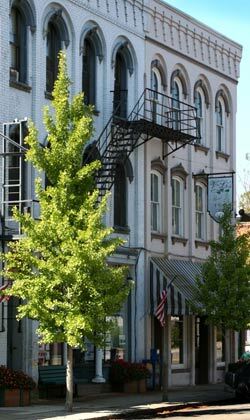 The historic town of Canal Fulton is nestled in the northwest corner of Stark county among the Ohio and Erie canals and the Tuscarawas river. Canal Fulton offers the advantages of living in a close knit community of historic beauty with the convenience of being a short drive to the hustle and bustle of bigger metropolitan areas of Stark, Summit, and Cuyahoga counties. Canal Fulton's Historic District, which is listed in the National Register of Historical Places, has over eighty sites including buildings and homes. Canal Fulton is also the home of the St. Helena III, one of only four Canal Boats operating in Ohio. Visitors will cruise an original section of the canal where they will see Lock IV, remains as much as it was in the 1800s. 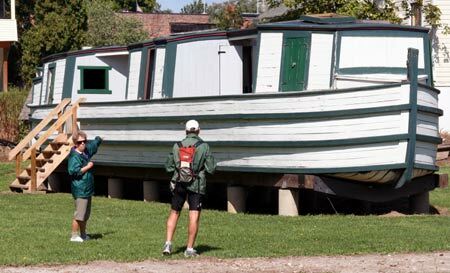 Climb on board a canal boat and see what it might have been like in this historic recreation of a typical packet boat that traversed the Ohio & Erie Canal during the mid 1800s. Located adjacent to the Canal Fulton Canalway Center. The new Canalway Center is located in St. Helena Heritage Park near the Canal Boat boarding dock. Built in 2006, the parking lot was redesigned to add one hundred additional parking spaces. The center has 1,760 square feet of space, restrooms, and amphitheater, educational (designed to accomodate busloads of school children) and information kiosks to announce events and aid travelers in planning their trip along the canal. The Canal Fulton Historic District is roughly bounded by the Ohio and Erie Canal, Market, Canal, Cherry and High Streets. Shops are open during normal business hours. 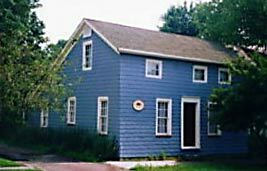 The Oberlin House: Originally built in 1847, during the height of the Ohio Canal Era, the Oberlin House is a "Salt-box" style structure. The house was restored in the early 1970's. It had been donated to the Heritage Society by Mr. and Mrs. Maurice Mitchell. Mrs. Mitchell is the granddaughter of the Oberlin family. The house serves as a living history museum. Visitors are guided back in time by "Mrs. Oberlin" or another costumed member of the Oberlin family who narrates the tour as though chatting with travelers of a century ago. The St. Helena III docks and departs from the Canal Fulton Canalway Center and can carry up to sixty passengers down an original section of the Ohio-Erie Canal. The canal trip is just a little over two miles round trip and takes approximately 55 minutes to travel. On your journey, the horse drawn canal boat takes its passengers past the McLauglin Dry Dock where the St. Helena III is stored for the winter. At the far end of the course, the boat reaches the Lock IV turning basin. Here the boat crew skillfully pulls the boat around for the scenic trip back home.